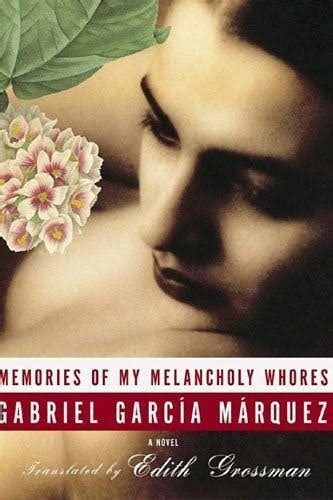 My mixed feelings about Memories of My Melancholy Whores are the result of damn-crazy- good Garcia writing, telling a story that feels like slightly-flat Coca-Cola in a glass bottle. Okay, so, Garcia writes darn-crazy-amazing well. With Memories of My Melancholy Whores, I am convinced his writing cannot HELP itself but be darn, crazy, amazing good! The man’s imagery in this book, his symbolism, his descriptions … they are so vivid that you feel like you are reading a painting as it paints itself in front of your eyes. And yet, the charm lies in how Garcia manages to do this in the humblest and lightest of ways. As a reader, you are highly affected, but not exhausted. I am IN LOVE with what I now know is the genre of magic realism that Garcia is so renowned for. For those like me who have not known what magical realism is, it is when fantasy and reality are interspersed, where elements of the supernatural are sewn into real – life settings or contexts – pardon the oversimplified explanation. In Memories, the magical realism manifests in a way that makes you wonder if the entire narrative is just in the mind of the main character: is he dreaming it all? Is it a manifestation of old-age dementia? Memories is a short book, and Garcia has used the bare minimum language needed, just enough to make his points. It is a very easy, quick read. Singularity of storyline, with few characters. Unfortunately, though, the story feels one-dimensional, making me go … ‘Ahaaaaaaan? And therefore?’ No amount of analysing could help add much depth to it – clear themes of time, old age, a longing for youth (lost and found), life and death. The story tries to spin a tale of true love, but I am not convinced: there is no true love in Memories of My Melancholy Whores. The word ‘melancholy’ has always felt to me like a very multi-dimensional word, fusing the intensity of sadness with the empty space of non-reason. The story is the opposite: after a very short initial build-up, it is a flat, horizontal line. Readers of Love in the Time of Cholera will find some endearing, repeated elements. I loved these, cannot quite explain why. All-in-all, Garcia’s beautiful writing trumps the surface-scraping storyline … worth a read, with managed expectations. We have more book reviews for you! Memoirs of a Geisha, The Shadow of The Crescent Moon, All The Light We Cannot See … If you love to revisit old classics or missed out on reading these titles, you can read one now and curl up with a good book this weekend! Can’t see what you’re looking for? Then visit FUCHSIA Entertainment and pick your own title, genre and author and settle down for a good read!